The field of marketing is in constant flux, with marketers constantly analyzing emerging trends and data to determine optimal strategies. As a result, marketing studies only a year old can be outdated. Fortunately, a fresh crop of influencer marketing studies published in 2018 provide marketers with fresh insight that can positively impact their campaigns. The vast majority of marketers are increasing their budgets in 2018. Only five percent of marketers report plans to decrease their investment in marketing, per Linqia’s State of Influencer Marketing 2018 study. Budget increases in marketing have been a trend for the past several years, with more viable channels than ever available for marketing efforts. The cost of managing influencer marketing is one noteworthy reason for increasing budgets, as well. Another big reason for the continuing increase in marketing budgets is the rise of big data, which confirms the immense value of marketing to anyone previously doubting its importance. Today, brands compete to provide superior customer experience across many digital platforms. Buyers are increasingly seeking out products on their own, whereas in the past, the majority of products were broadcast to them. Customer journeys are becoming increasingly self-driven, which raises the importance of effective marketing. Influencer marketing has the potential to captivate audiences with influencers they know and trust. As a result, marketers are finding influencer investments to be worthwhile and necessary. Marketers are also choosing to embrace turnkey providers for managing influencer marketing programs, especially since market research costs can vary depending on a variety of factors. As long as customers continue to browse the web and pursue a self-guided approach to discovering content, marketing budgets are likely to continue increasing. Marketers in 2018 report that one of their biggest challenges is incorporating influencer marketing into their busy schedules. Influencer marketing has immense value in 2018, so marketers do not have much choice. However, many marketers are finding viable solutions to managing influencer marketing programs. According to Linqia, 42 percent of marketers report using a managed service or “turnkey service provider” to help run the programs, with an additional 18 percent outsourcing influencer marketing to an agency. Agencies that act as turnkey service providers and influencers of marketing middle-servicing are increasing in popularity among marketers, who recognize the necessity of scaling their campaigns in 2018. Even if marketers do not have resources on their own to manage influencer marketing, they are getting it done nonetheless with outsourcing and turnkey service providers. One of the most prominent reasons for increasing investments in the influencer marketing sphere is the strength of influencer engagement. 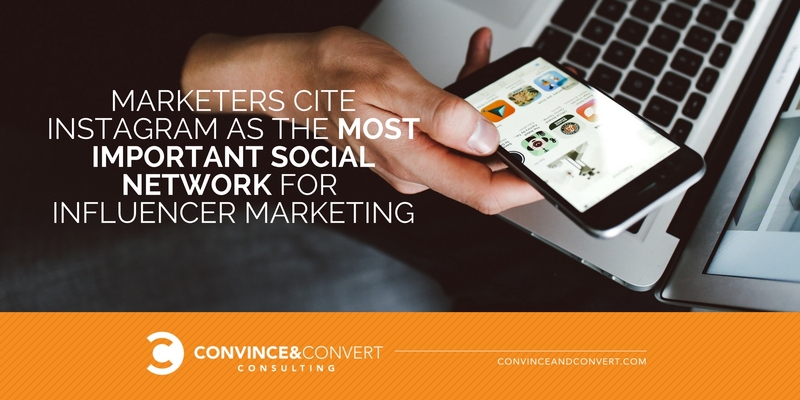 The average influencer engagement rate across industry verticals is 5.7 percent. Comparatively, brands on Instagram have an average engagement rate between two and three percent. 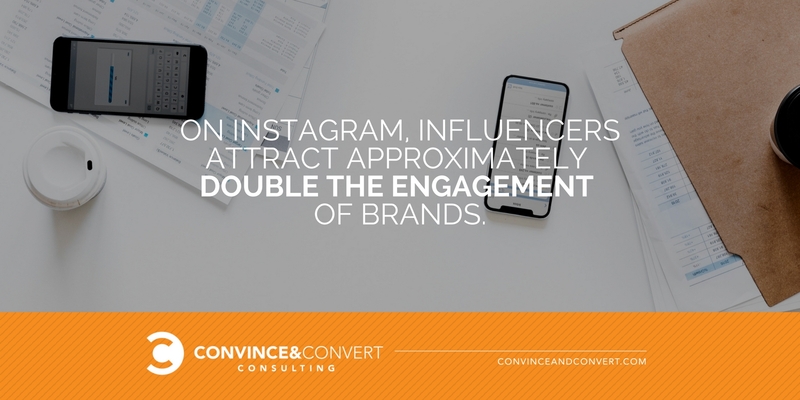 Why do influencers have about double the engagement of brands? The answer may lie in influencers’ greater feeling of authenticity. Consumers are well aware that brands are promoting with the incentive to sell. An influencer, however, may be promoting something because they enjoy the product or service. Although consumers are aware that influencers often receive payment for promotion, they also know that influencers are unlikely to damage their reputation by promoting a product or service that’s low-quality or undesirable. The dominance of video content is nothing new, though it’s notable that 2018 may see video reach a whole new level of engagement. 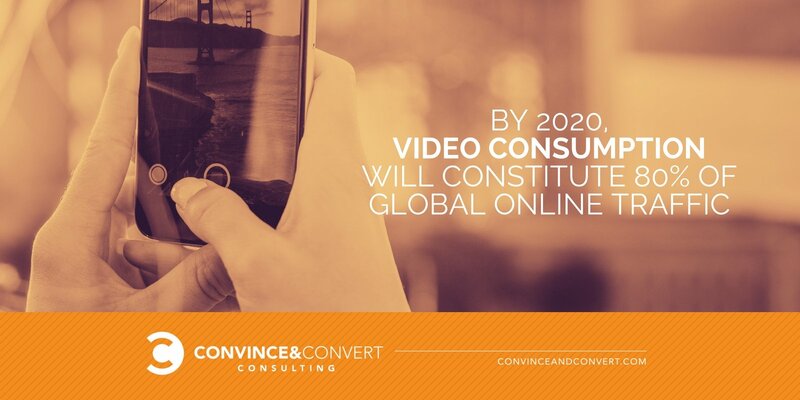 Experts estimate that by 2020, video consumption will reach 80 percent of global online traffic. 86 percent of marketers use video content, which makes even more sense when you consider that viewers absorb 95 percent more messaging via video. Video’s staying power is also clear, with 99 percent of marketers already using video saying they will continue to use it throughout 2018. In a 2018 study by Wyzowl, 97 percent of marketers reported that video helped increase users’ understanding of their product or service. Combine that with the fact that 72 percent of consumers prefer video over text when learning about a product or service, and it’s easy to see why marketers embrace video content. It’s worth noting that influencers are rampant throughout video-centric social media platforms, like YouTube and Instagram. Video content’s rise in popularity alongside the ascent of influencers is no coincidence. In 2018, Instagram reigns supreme as the most important social network for influencer marketing, according to 92 percent of marketers in Linqia’s The State of Influencer Marketing 2018. The majority of social networks support video content, though Instagram stands out due to its enormous user base and easily digestible, often concise video content. The Kardashian family alone provides a taste of Instagram’s potential, with Kim Kardashian, Kendall Jenner, Khloe Kardashian, and Kourtney Kardashian attracting over 26,000,000 likes and comments on Instagram from January 1 to March 15, 2018. When an influencer achieves success on Instagram, it’s usually a massive success. Don’t overlook the rising importance of blogs, either. Although blogs still lag behind Instagram and Facebook as the most important social networks for influencer marketing, they are a close third and have risen in popularity since 2017. Influencers on social media are embracing the blog form for more word-heavy content, especially the influencers launching their own e-commerce lines. These blogs showcase products and more informative content beyond these influencers’ social media presences. 2018 is an exciting year for marketers, who are seizing emerging forms of content like video and embracing influencers in their marketing campaigns. 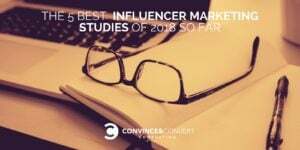 As consumers become more wary of conventional marketing techniques and gain more awareness of market research, influencer marketing offers a fresh and (hopefully) authentic approach that provides consumers a new perspective on why a particular product or service may be a good fit for their needs.